"You're Here To Make A Lot Of Noise." It was early 2015. The Sacred Valley, Peru. I’m sitting on a blanket inside of a multi-purpose room at the Willka T’ika Lodge. It was the day of our second San Pedro ceremony, and I’d noted that my “little cup of infinity” was making things brighter and more colorful around me. I was mostly my usual quiet self, retreating into my journal and writing a ton. Not because I’m shy… But because I am easily drained by others and afraid I’ll lose my thoughts if I don’t collect them as they happen. Especially when on plant medicines. Others were asking Malcolm, the shaman, questions. I wanted to ask too. But more so for validation. Not for any revelatory reason. Eventually, a pause came about, and I took my opportunity - while sitting across the room on my blanket - to ask him my question. "Mal," I inquired, "What can you tell looking at me? I'm so quiet over here. But I am sure I am noisy in other ways... Energetically, perhaps?" "You're a little bit psychic," he said. "Intuitive." He said it so plainly. Almost no expression. Matter-of-fact. I didn’t need more validation. Malcolm and my relationship over the past five years was a space of shared mutual energetic respect. I never doubted anything that came from his mouth or his spirit. And he never made me feel judged. He was stoic. Kind. And (I think) knew I would take whatever he told me and meditate on it to decide how to incorporate it into my life. 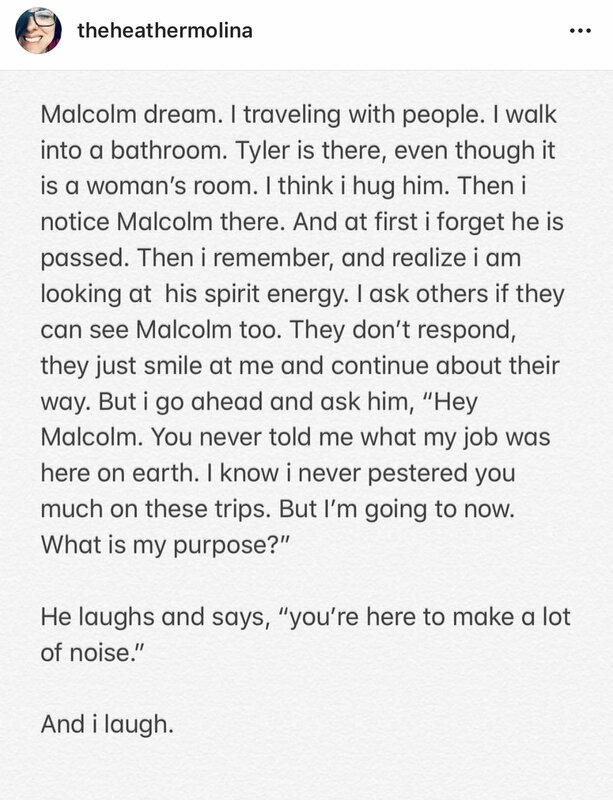 Malcolm passed away last November. I was with him in Utah, being served peyote by him in August. A month later, I was in Ethiopia - sicker than I’d been since childhood - journeying from cave church to cave church. And six weeks later he was no longer physically on the Earth. And I came up with 13 weeks. Three months in under five years. He was the first shaman to serve me most of the medicinal plants I have taken. And he held every space I shared with him in any country around the world so perfectly for me. And for others. “How did he do it?” I wondered, thinking about how he held space. As a (very rare occasion) yoga teacher, I know how hard it is to hold a space. When you’re guiding a group through an energy practice of some kind, it takes a lot out of you. You’re watching the group itself. You’re watching beyond the group, into the space around them. You’re watching the energy coming from them. You’re watching how they’re impacting each other. You’re stepping in and guiding them and redirecting them back to themselves. You’re - weird as it sounds - pushing outside energy away. Shielding. It may not look like you’re doing much. But it can be felt. Consciously or subconsciously by those with whom you are working. I wondered that because he’d told me in the past year that he hadn’t done ayahuasca (a medicine used to purge and heal) for himself in many years. He said the medicine works differently when you are using it to lead a group. It puts you to work. It’s - I gathered - not about you. Not purging wears you down. And he always carried himself with intentional energy. Quiet confidence. That is what I miss. A month after he passed away, I had a dream about him. Or rather, he entered my dream space. What noise does he mean? But I am working on deciphering it all. 2019 - Life Perturbation., Energy Help.